Want to begin this week’s edition by congratulating Mr. Damion Hendricks, who makes his Marvel Comics debut this week in the first issue of Breaking Into Comics the Marvel Way. Met Damion way back at a San Diego show (think it was 2003), when he came up to the Arcade Comics booth and showed his portfolio to Rob Liefeld. I remember Rob getting really excited about his work, and for a while we all discussed doing some Shaft back-up stories or something, but it never came together. Still, Damion and I kept in close contact and even pitched a series to Image a couple years later, so I was extra excited when I heard that C.B. named him as one of his Chesterquest finalists. 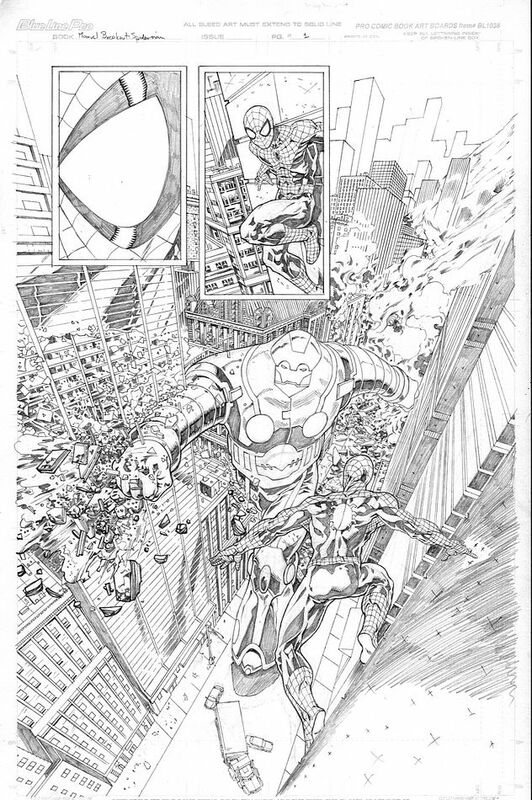 And here, he teams with Marc Guggenheim on a Spider-Man short named “Street Level” that gives him a chance to draw a ton of great Marvel characters, and he’s also one of the featured artists in the interview section at the end of the book. Congrats to him again, and hope it’s just the beginning of a long and prosperous career. Now let’s talk about a couple of notable scenes from this week’s haul, shall we?